It's only what's inside the bottle that matters. Or it isn't, it's lots of other things too. While the debate over ownership in the craft beer world rumbles on, part two of our look at the issue focuses on what is inside the bottle. For our latest blind tasting, we gathered a selection of beers produced by the craft arms of multinational beverage companies and Australia's major retailers against a handful from small, independent Australian brewing companies. As Mountain Goat co-founder Dave Bonighton said in yesterday's feature: "This is an over-simplification, but look at it like a beer judge. They don’t get to see the label, and need to make an assessment on the beer alone." That's what we did on Saturday, bringing together a panel of beer experts from various parts of the industry for a tasting at Temple Brewing. On the panel were two commercial brewers, including one reigning AIBA trophy winner, two experienced beer reps, a home brewing beer writer who works behind the bar in one of Melbourne's best beer venues and The Crafty Pint's founder. 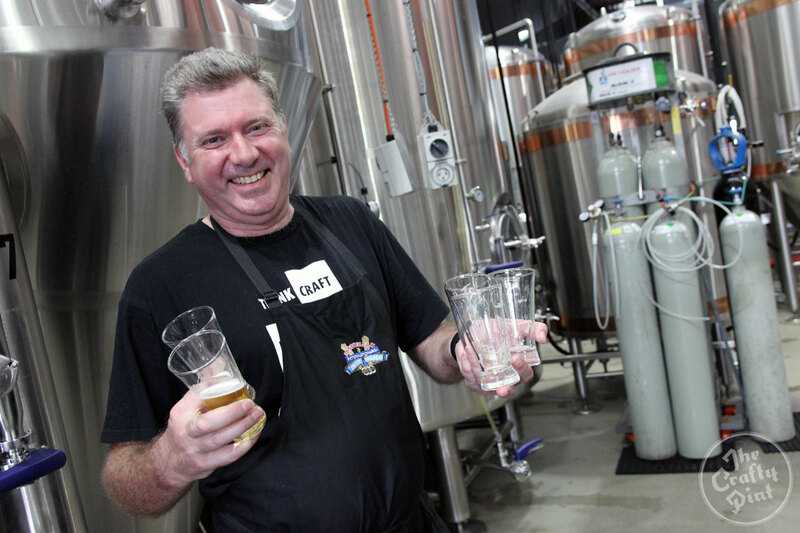 For such a momentous occasion, we welcomed back our star steward Pete "Professor Pilsner" Mitcham (pictured below): event host, beer educator, editor, one half of Radio Brews News and an experienced AIBA steward and associate judge. Read part one of our look at ownership here and check out our infographic (which may soon need updating given AB InBev's proposed takeover of SABMiller) showing who owns what here. 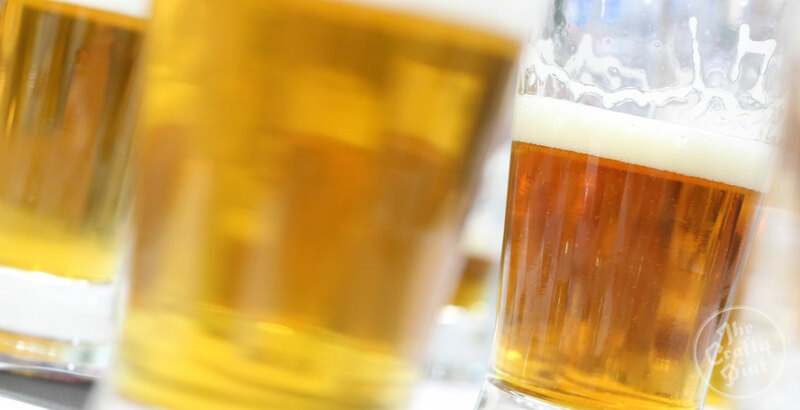 The aim was to see how the beers from the bigger businesses that are appearing with increasing frequency – mainly in major retail outlets but also in many pubs and bars across the country – fared against their small brewery peers. As highlighted by respondents in yesterday's article, the former have advantages of scale and distribution and their beers can readily be picked up far cheaper than the latter. If there's little difference in quality then, while those who believe in the importance of independence and supporting small business would stick to their guns, those who shop with a budget conscious mind will feel justified in their decision. In short, what would it say about the value of your beer purchase? Are the extra dollars spent on a beer from an independent brewery worth it (taking ethical considerations out of the equation)? We looked at the styles that would allow us to source as many varieties as possible. Perhaps unsurprisingly, this includes golden and pale ales, with IPA the third. These were presented in flights of three, with Prof indicating when we'd moved from one style to the next. UPDATE: In response to a couple of comments on social media, we'd like to emphasise that the purpose here wasn't to test exhaustively every beer in a particular style but to sample those from bigger companies. A handful of small brewery beers were included as yardsticks. Every single beer was purchased from retail rather than sourced from breweries direct so they were a fair reflection of what our readers can access. We also felt that the fairest way to purchase them as regards the brewers / brand owners was to buy Woolies brands from Woolies stores, Coles brands from Coles stores and independent beers from independent outlets. Those brands from Asahi and Australian Beer Co were purchased from Dan Murphy's, as it is the biggest seller of craft beer in Australia. There were a couple we couldn't get hold of: Yenda IPA was nowhere to be seen across the ten stores we visited and we could only find one bottle rather than the two we needed of Gage Roads Single Fin, which we would have liked to include in golden ales. The only change from previous blind tastings was a tweak to the scoring system. Instead of scores out of five for each of appearance, aroma and taste, we scored out of three for appearance and six for the others to better reflect their relative importance to enjoyment. The "Overall" score out of ten, in which we allow judges to allocate a good beer higher marks even if it's out of style or lower marks if it's to style but unappealing, remained. The idea here is that we're not awarding medals solely for brewing to style but trying to give readers an honest, valid view on whether a beer is pleasant to drink as much as whether it's a good golden ale or pale ale. 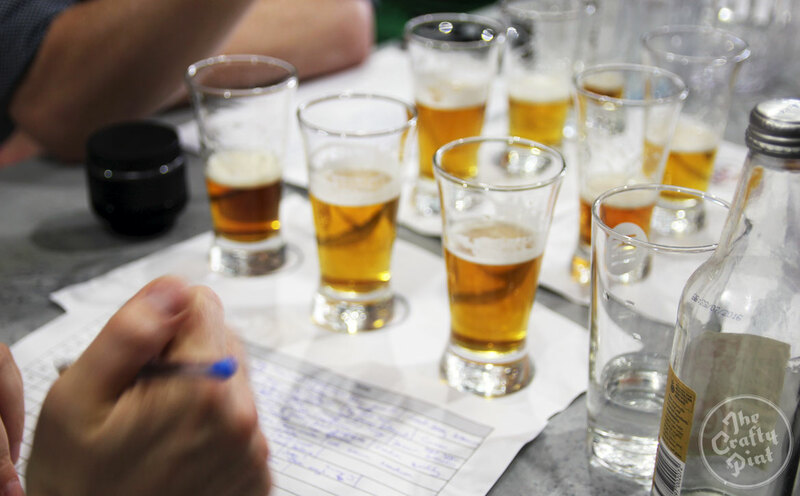 At the end, all six judges scores were collated and the beers ranked from last to first. Below we list the best overall as well as the top scorers in each style. We don't list scores as they're irrelevant here. We don't expect judges to score the same as each other, we just tell them to ensure their personal scoring is consistent from beer to beer. If one wants to score aggressively, as long as they're aggressive with all beers then that's fine. Normally, we'd launch straight into the results here. But this is a tasting with a difference – a somewhat political or ethical bent, if you will – so there's more to consider than just which beers fared best. 1. The most striking outcome for us is one that perhaps we should have expected. The majority of beers scored within just 2.5 points of each other out of a possible total of 25. Yes, less than 2.5 points separated the beer in 8th (14.08/25) and the beers in 23rd equal (11.66/25). That suggests many of these beers are of a similar standard, not surprising when many of them come out of the same handful of brewing facilities. That so many sit either side of half marks also suggests that they are similarly average: nothing particularly wrong with them, but nothing much to recommend them either. 2. Before heading out to the stores, we had no idea that some supermarket brands existed, namely Lorry Boys and 3 Pub Circus, which are brewed by Macarthur Grange for Liquorland (although they weren't in our local Liquorland, only Vintage Cellars and First Choice). Like some of their peers they come with packaging that suggests craftiness – IBUs and EBC [respectively scales indicating bitterness and beer colour] on their six packs – as well as homeliness: Yenda has drawings of its brewers on its labels; here, the beer's are tagged as Jim and Joe's. We know Yenda's brewers actually exist; not so sure about Jim and Joe at this point. Still, how did their beers fare? 3. It's easy to forget about Matilda Bay these days, but this reminded us that, while most of their beers – at least the ones discerning beer drinkers had an interest in – have pretty much disappeared from sight, the brand is still responsible for five different pale ales: Fat Yak, Lazy Yak, The Duck's, Itchy Green Pants (IGP) and Alpha. 4. Speaking of Alpha, which was Champion Australian Beer as recently as 2013, we discovered when noting the bottled on and best before dates of the beers that the Alphas we'd bought from Dan Murphy's were almost five months out of date. We considered leaving them out of the tasting until we noticed that Dan's was charging $6.99 per bottle for this out of date beer and felt that alone warranted their inclusion. That it fared as well as it did just emphasises what a shame it is that the beer has been ignored. 5. We attempted to make this as fair a fight as possible. If there is one area in which we could be said to have stacked the cards, it was in choosing beers from small independents that are either enduringly popular or have a buzz around them at the minute. As such, they should prove tough competition for the big brand beers. 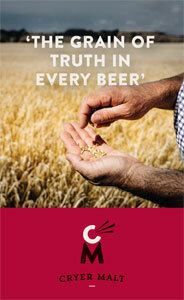 But, given the advantages the big brands have, why shouldn't they be put up against popular or well rated beers? So, were there the usual surprises? To an extent, yes. Will the results change anyone's minds? Maybe. Maybe not. While we don't give the beers' individual scores for reasons outlined above, it is worth pointing out the gap from fourth to third in the overall standings was more than two points and that the winning beer had an average score above 20/25; not bad when you consider the majority of beers sat around half marks. Anyway, here they are, with the venue at which they were purchased and best before or bottled on date indicated. NB: We sampled 29 beers and are only showing the top scoring beers in order. The others tested are listed at the bottom of each style; they scored poorly enough not to make the ladders. Pale ales was the biggest category, hence listing a top 10 as opposed to top fives for the others. Please note: this is a compilation of all the beers – golden ales, pale ales and IPAs, which were each scored separately by style – put together as one for the purpose of seeing how the beers from bigger businesses fared against the smaller ones, which was the purpose of the tasting. To see the results by style, as they'd be presented in a more typical tasting, see below. Other beers sampled in this category were Yenda Golden Ale, Little Creatures Bright Ale and Steamrail Golden Ale. Other beers sampled in this category were Yenda Pale Ale, Matilda Bay Lazy Yak, Mountain Goat Pale, John Boston The Point Pale, Kosciuszko Pale and Lorry Boys Pale. So, there you go: a table topped by beers from small, independent Australian brewers; another table topping performance from Pirate Life; and happy days for Joel and his family behind the fledgling Venom brewing company. Make of it what you will. And if you'd like to know which beer caused two judges to make references in their assessment notes to toilets (namely "a freshly cleaned toilet" and "chemical toilets at a music festival"), you'll have to catch us face to face.